We take great pride in our high level of quality, knowledge, and craft. Browse below to see our selection of slate roofing projects. Slate is very beautiful, and superior choice for a roof. It is also one of the oldest construction materials. A properly installed & maintained slate roof can last over 100 years. Because slate is such a permanent solution for a roof, it actually adds value to your property. Slate has a vast array of shapes, colors, & sizes. Slate also has natural fire resistant properties, as well as, being impact resistant to hail. Slate has a 0% absorption rate so it is impervious to freeze and thaw, and simultaneously being waterproof. There are many slate quarries all over the world; each holding its own defining characteristics. With so many different types of rock available each quarry’s stone is graded by the ASTM and receives a S1, S2, or S3 rating. Each grade determines the quality of the rock, S1 being the best possible quality and having the longest lifespan. At Classic we make sure all our quarries harvest S1 slate. Being a leader of the roofing industry we ensure the quality of our slate by having personal stake in our slate quarries and are personally trained by the quarries. 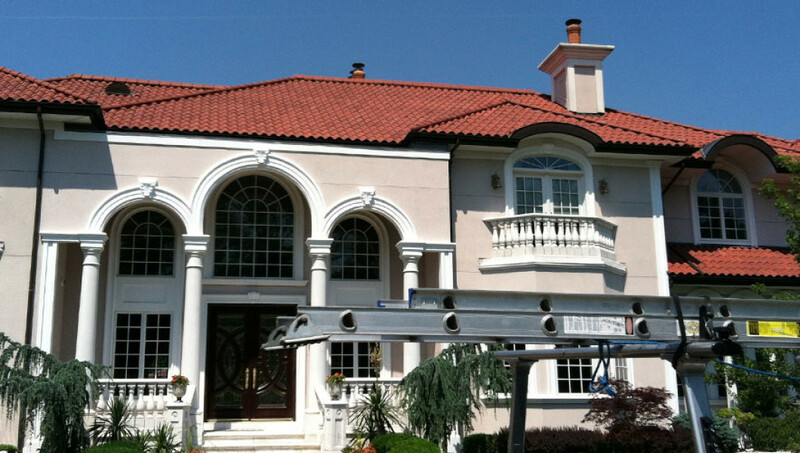 Browse below to see our selection of tile roofing projects. 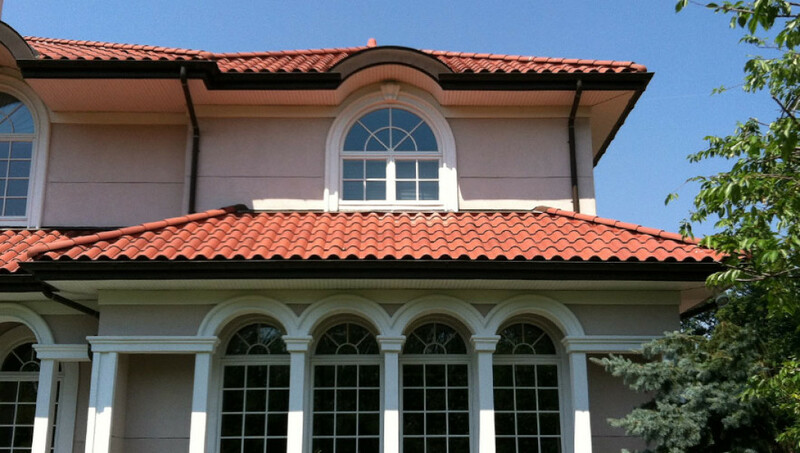 Terracotta, or clay tile, is a very gorgeous choice for a roof. It is presumed to be the oldest construction material. Made from recyclable raw materials making it 100% sustainable and non toxic. 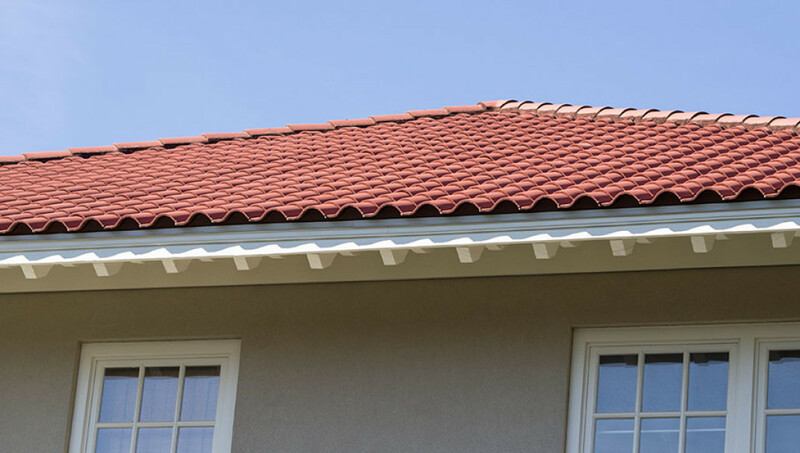 A tile roof can last up to 100 years if properly installed and maintained. Due to its exposure to extreme heat in the kiln, terra cotta is fire resistant, and their colors are impervious to the sun’s UV rays . 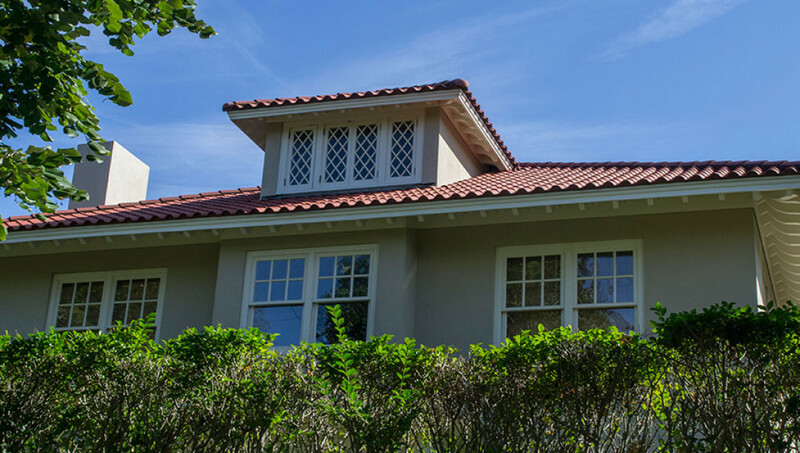 While clay tiles made domestically have a less than 1% absorption rate , making them resistant to freezer and thaw. Although imported tile have a higher absorption rate ranging from 4-12%. Clay tiles offer the widest range of tiles and textures, along with and very extensive selection of colors and tones. At Classic we make sure to only use the finest domestic terra-cotta tiles for maximum longevity of the tiles color and lifespan. Browse below to see our selection of cedar roofing and siding projects. Why choose cedar roofing or siding? Cedar is a very elegant and durable choice for a roof and siding. There are a few different types of cedar, Western Red Cedar, Eastern White Cedar, & Alaskan Yellow Cedar. There are also two different types of styles for these woods, a shingle or a shake. A cedar shingle is defined as being sawn on both sides, while a shake is usually split by hand. Shakes also tend to be thicker than shingles. Shakes and Shingles are both graded by the Cedar Bureau on their flat grain content. Cedar shingles and shakes with no flat grain receive a Premium rating while shakes and shingles containing up to 20% receive a Number One rating. Although cedar roofs are not fire resistant, they do have the highest wind resistance rating, and if properly installed and maintained can last between 20-40 years. At Classic we make sure we only use the finest woods from the finest mills around the world. Browse below to see our selection of copper roofing projects. Copper is a very sophisticated and elegant construction material, and it takes a very skilled and well trained hand to properly install it. Along with its magnificent look copper is extremely durable and can last a life time with little maintenance. Copper is also fire resistant. This beautiful metal can vary in weight and also will change thru multiple colors through out its life time ranging from a shiny salmon color, to different tones of bronze, and eventually turning statue of liberty green. You can also get copper coated in zinc or lead for a beautiful silver or grey finish. Copper is a magnificent construction material with many versatile uses, it can be manipulated into may different forms ranging from gutters, to spires, to cupolas & dormers, and they even make great low slope roofs. Browse below to see our selection of asphalt roofing projects. Asphalt roofs are by far the most commonly used shingle for roofs in America. Due to how relatively inexpensive they are and how little they weigh, you can put asphalt shingles on any roof you want. There are an incredible array of shapes, colors, and textures asphalt shingles may come in. They can mimic the look of any kind of roof a homeowner wishes. Due to the many manufacturers and type of shingles out their, they lack consistency from the element. They are not fire resistant and depending on which type of shingle you choose they can range from a class C rating to a class A, nor are they impervious to damage from hail. Depending on which manufacturer you use, their resistance to wind varies as well. And due to some of the components asphalt shingles are made with they are more susceptible to moss and algae growth which may soften the shingle over time. Each manufacturer produces many different types of shingles which all vary in lifespan. Each manufacturer will warranty their shingles from 20 years to a lifetime, although the warranty does not determine the actual durability of the shingle. Asphalt shingles tend to last longer in areas with little climate change, where it either stays consistently warm or consistently cool. 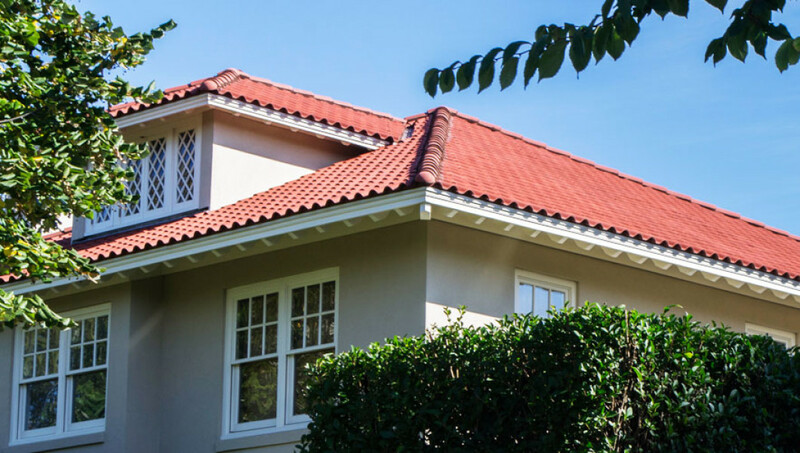 At Classic, we are certified by all the biggest names in asphalt shingle industry, and provide shingles with the highest ratings and longest warranties. Browse below to see our selection of Low Slope Membrane projects. Why choose low slope roofing? EPDM (Ethylene Propylene Diene Monomer) is one of the best and most common rubber single ply membranes for low slope roofs. EPDM comes in two colors black or white. It has a very high resistance against wind damage and is also hail resistant. Being a such durable rubber membrane, EPDM is quite flexible in low temperatures, while also having superior resistance to heat. A properly installed and maintained EPDM roof from a certified installer can last 30-50 years. At Classic we make sure to pair with the best manufactures to deliver the highest performing EPDM roof. Classic is trained and certified by Johns Manville, a leader in EPDM manufacturing. Kemper membrane is the best and most sophisticated waterproofing membrane available on the market.You can use Kemper for anything from waterproofing your low slope roof or deck to using it under your floors in your home like your bathroom. A Kemper membrane may be installed to fit anyones need for a low slope roof. Once it has been installed, one can use it as a foundation for a roof top garden, or a roof top patio. It is such a durable material it is impervious to bio-deterioration, as well as being root and rot resistance. Kemper is one of the best waterproofing system on the market because it is a unique monolithic, seamless waterproofing membrane. Kemper’s unique membrane is based primarily upon advanced polyurethane, epoxy, and acrylic technology. The first Kemper membrane was installed in 1950, and 65 years later it has not had one single problem. So if you have a Kemper membrane installed by a trained and certified contractor you can expect the same results. At Classic we work very closely with Kemper Systems to remain up to date on their contemporary technology, and we are one of the very few certified installers in the tristate area. Browse below to see our home and building projects using Da Vinci Roofscapes. DaVinci Roofscapes are a polymer roofing system. DaVinci puts quality into their entire line of synthetic roofing tiles. Davinci’s composite slate shingles are carefully engineered to provide the authentic look and durability of natural slate roofs. This is most ideal for homeowners who would like the look of natural slate, but their home can’t support the heavy weight of slate. Or for those who desire the natural appearance of hand-split shake shingles or machine-sawn shake, our composite shake shingles are reminiscent of the texture of natural cedar. DaVinci utilizes a proprietary state-of-the-art engineered polymer to deliver durability and beauty for years to come. With such a high degree of engineering one can easily expect 50 years out of these roofing shingles. Browse below to see our selection of siding projects. Why choose Classic for your siding installation? We pride ourselves on producing superior exteriors.Classic is the trusted leader is cedar and fiber cement siding. Making sure we only align ourselves with the highest quality mills and manufacturers to assure you are receiving the highest quality siding products for your home. With our skilled hands and great products, we will make sure your siding is installed properly to project your family from the elements as best as you possibly can be. Browse below to see our historic home and building projects. We take great pride in our ability to work within the highest standards of art and architecture. A part of family is remembering the good old times. Here at Classic, we take unbelievable pride in our expertise when dealing with a historic restoration. Being the front runner for many architects, Classic has headed many projects to restore 19th and 20th century homes and churches. We promise that once we are through the history of the building will keep living on as how it was from the first day it was built. –Steve Del Campo, Partner and Director of Operations, Bacco Inc.